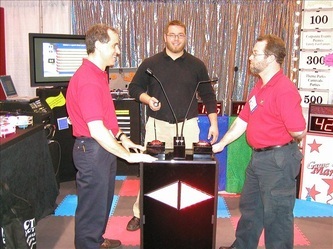 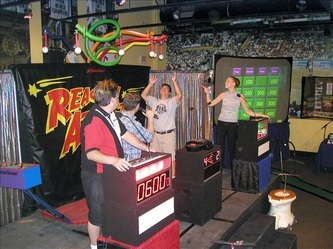 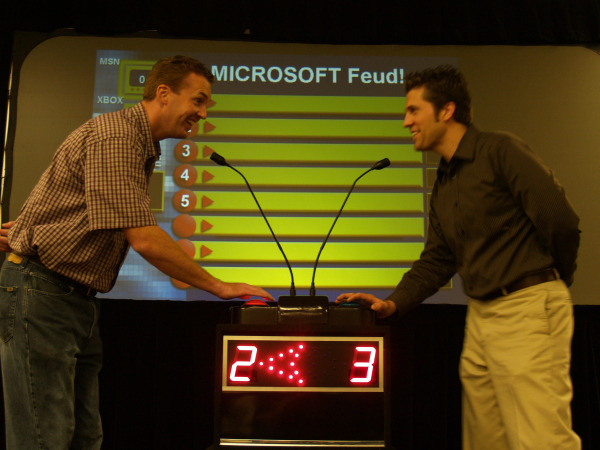 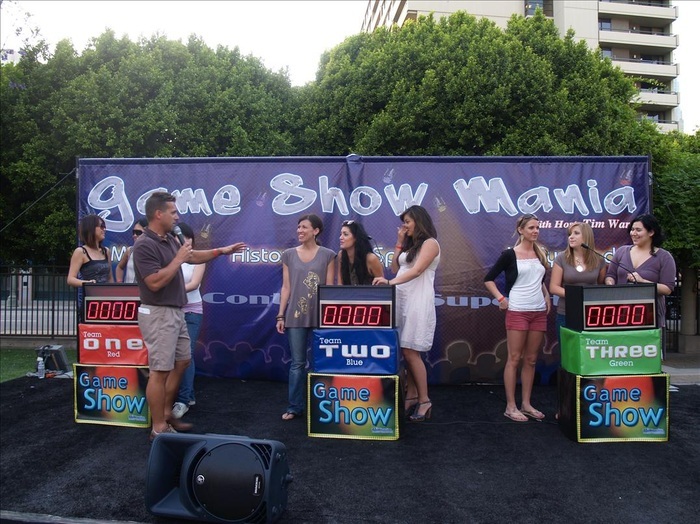 Game Show Special - Interact Event Productions - Corporate Event Planning at Wholesale Prices! 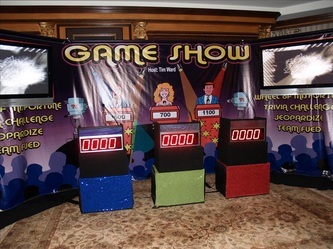 GAME SHOW / DINNER SHOW SPECIAL! 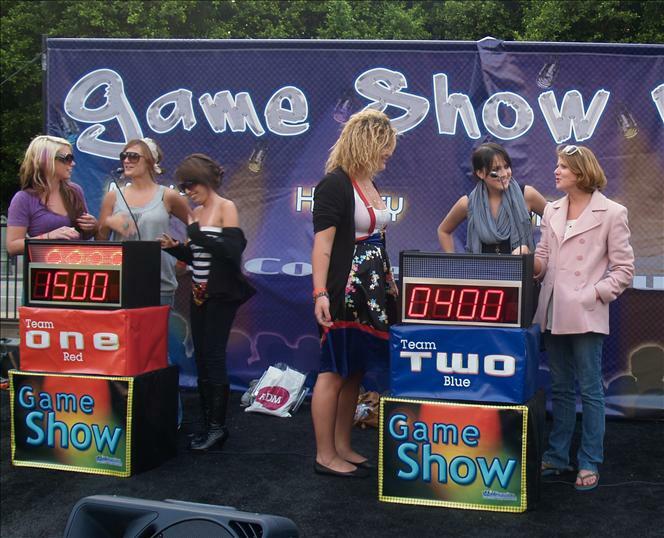 Game Show Mania is perfect for HOLIDAY PARTIES, company parties, picnics, promotional events, and social gatherings of any type. With our exclusive Host Tim Ward, your guests will feel like they're attending a live taping of a real Hollywood-Style game show! 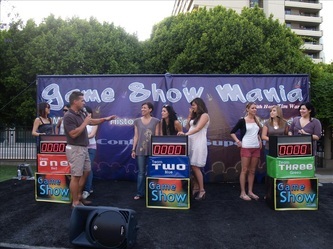 INDOORS OR OUTDOORS! View all of our exciting Game Show Dinner Show options for your Holiday Party! 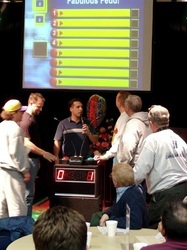 CLICK to enlarge images below. We have professional staff, delicious menu options, affordable rates and all of our prices include servers, heating equipment, buffet tables and food service signs. 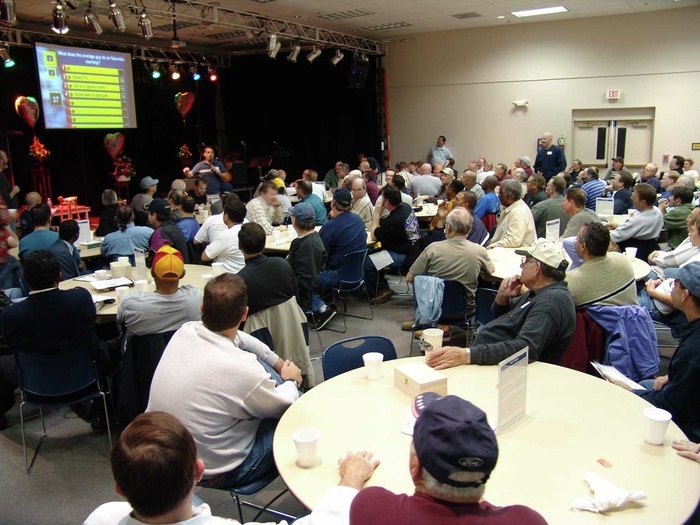 Catering as low as $6.95 per person. 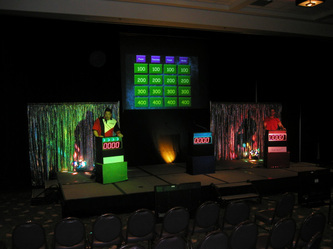 Save hundreds, even thousands by making your office space or warehouse a venue for your Holiday Office Party this year. 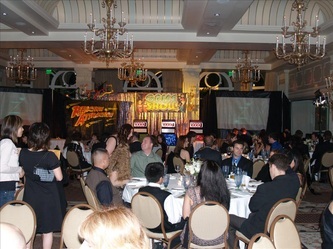 We transform your space by using pipe & drape, bringing in our stage, tables, chairs, custom signage and even catering! 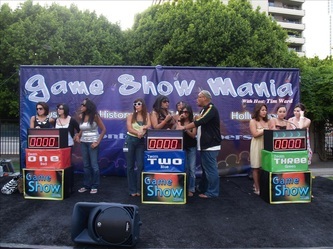 This offer valid for events book before November 15, 2010. Delivery charges not included. Based on a 3-Hour Event!